Within the USG, it is common for students to transfer out of associate degree institutions prior to completing the requirements for the degree. In some cases, students will be successful in earning bachelor's degrees. In many cases, however, students will not complete their bachelor’s degrees, and will become part of the group of adults with "some college, no degree," even though they may have met the requirements for associate degrees. To achieve the project goal of increasing the number of associate degrees awarded through reverse transfer of credit, multiple layered strategies are necessary. Must have earned at least 15 credits at the associate degree institution. Must have accumulated at least 60 credits between the associate degree institution and any transfer institutions. Postcards sent to students when they request transcripts to be sent to transfer institutions. Publicity efforts at transfer institutions. Emails sent to eligible students at transfer institutions. Pop-ups in the Student Information System or Degree Works. Initially this will need to be a manual process—students will need to indicate interest and request exchange of information. This could also be done via pop-ups in the Student Information System when students attempt to register. 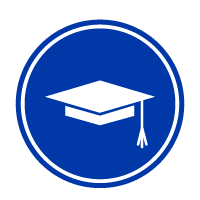 Ultimately, it would be desirable to have students agree to have degrees awarded when they have been earned upon matriculation at associate degree institutions, and agree to exchange of academic information in service of awarding of an associate degree when students matriculate at transfer institutions.